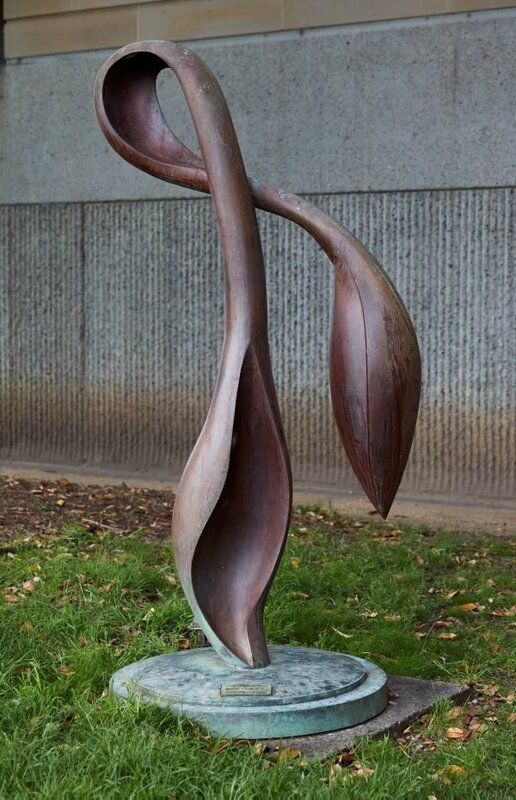 "'Flora Exemplar' began life when a maquette of the sculpture was presented to the president of Technion, the University of Technology, Haifa, Israel, in the Queens Hall in Parliament House, Victoria in 1996. This led to the commissioning of the 4.6 meter-high version of the sculpture in Sapir Town, Arava, Israel. Speaking of 'Flora Exemplar' one critic wrote, the 'mysterious body plant embodies nature's pure beauty perceived through the appreciation of the human eye'. ... Rogers is pleased that a number of the edition of 'Flora Exemplar' are going to outdoor locations around the world, including Grounds for Sculpture, a 22-acre sculpture park in New Jersey, the Stonebriar Office Park, Dallas, Texas, a public park in Kobe, Japan, the Copelan Development, Melbourne, as well as the park in the Arava Desert, Israel. 'It's very interesting to see the same form set in different surroundings', he says. 'For instance, the sculpture I have just completed in the Arava Desert is located in one of the most extreme climates in the world. My excitement is that the heat and cold will test the strength of this work, and the Desert sands will tear into it, reshaping it, changing it over time".